At Giltner, we move freight safely while treating every load as an opportunity to demonstrate our high quality, dependable service. Our company prides itself in consistently providing service that exceeds 98% on-time throughout the country. The choice to go with Giltner is undoubtedly The Better Move. 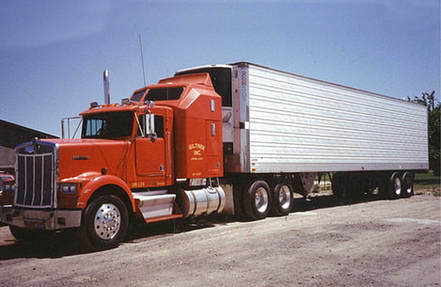 Giltner was established in November 1982 with an initial fleet of a dozen trucks. Douglas Blevins started out as an accountant for the company in January of 1983. In 1990, Douglas and his wife Cheri purchased the company. With them, they brought a mission of integrity and honesty towards their partnerships with all employees and customers. With these core principles and the people around them, they were able to grow to 140 trucks by the late 1990s. In 2003, the Giltner team revamped the quality and reliability in operations, allowing the company to haul produce that is extremely time and temperature sensitive. These specialized competencies quickly became a cornerstone of the Giltner business model and reputation. In 2017, Greg Paulson and his wife Shawna purchased the company after Douglas passed away. Greg started with the company in 1999 as CFO and became partners with the Blevins in 2005. 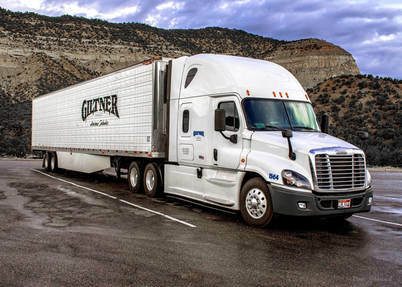 Today, Giltner operates approximately 200 trucks. Giltner's equipment is state of the art and can track the location and temperature of every load via satellite. Our sister company, Giltner Logistic Services, has a brokerage division that services the entire country with several regional offices located from coast to coast.